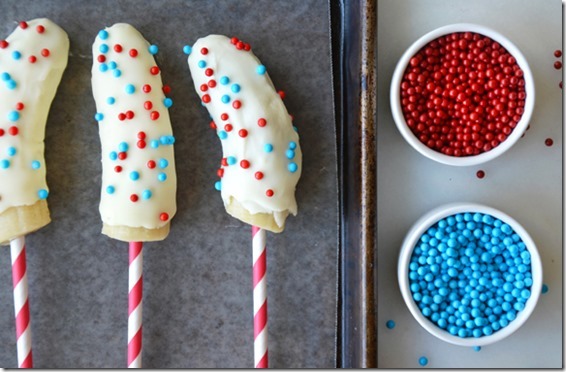 With this patriotic holiday right around the corner, Pinterest is exploding with red, white and blue-themed recipes. Many of these recipes look fantastic and fantastically indulgent, so I thought I’d highlight some healthier but still fun and festive dishes from around the web this afternoon! 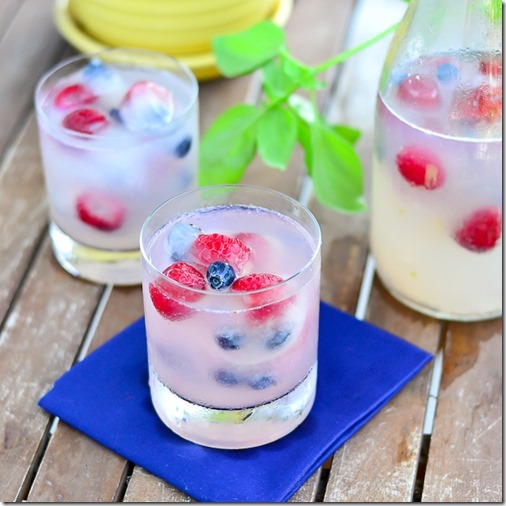 Click the link above each image to view the tasty recipe! Thanks for featuring our salsa! Happy 4th! Of course!! It looks amazing! Look at all those cute ideas! I’m not doing anything big this year, but last year I hosted a little Fourth of July party, and I made this red, white, and blue cupcakes that I frosted with vanilla frosting and then topped with blueberries and strawberries to make a “flag.” One of the prouder moments of my baking career haha. These all look amazing! I’m going to a lake party tonight, a pool party tomorrow, and then Josh and I are celebrating our first wedding anniversary this weekend! 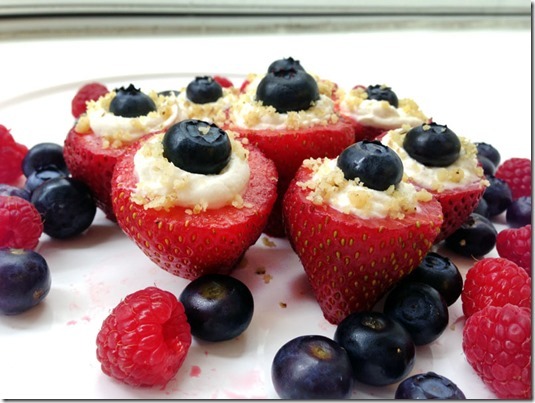 Stuffed strawberries?! I may have to try this! 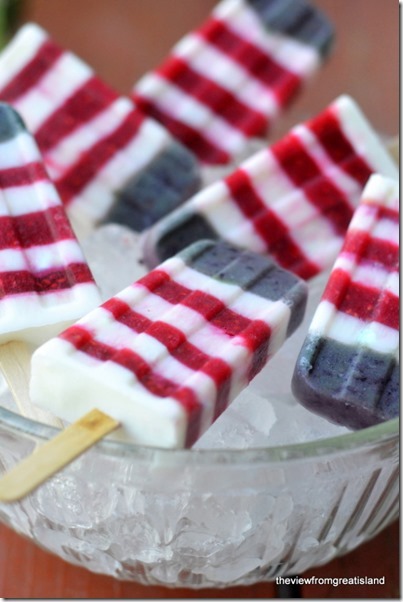 I totally want those red, white, and blue yogurt pops!!! Those all look so good! Thanks for sharing! Those yogurt pops look amazing! I celebrated Canada Day earlier this week with a fun 5K run with my little guy then a day at the lake and the splash park then some fun in the backyard. It was perfect! We even grilled my favourite supper– bbq chicken kabobs and corn on the cob– so good!! Happy 4th! These all look delicious! 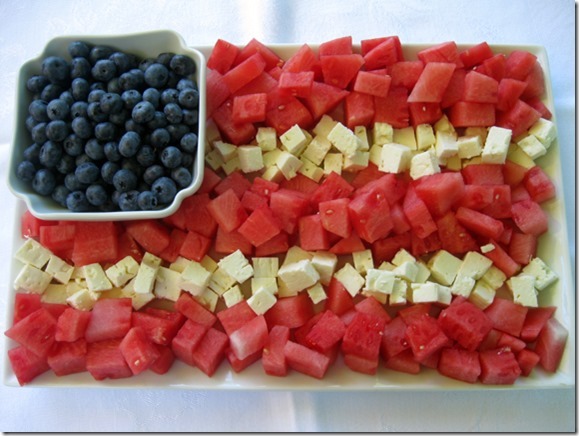 Thanks so much for featuring my watermelon feta flag! Happy 4th! These recipes look delicious! We plan to go swimming and to a cookout tomorrow then kayaking/canoeing on the river as long as the rain stays away! Have a great holiday! I’ll be running the Peachtree Road Race (10k) in the morning and then going to a 4th of July party in the afternoon! A busy, but exciting day is in store for me! Also, all of those recipes look amazing! So many beautiful looking ideas there…and I’m not even American! The quinoa looks beautiful! 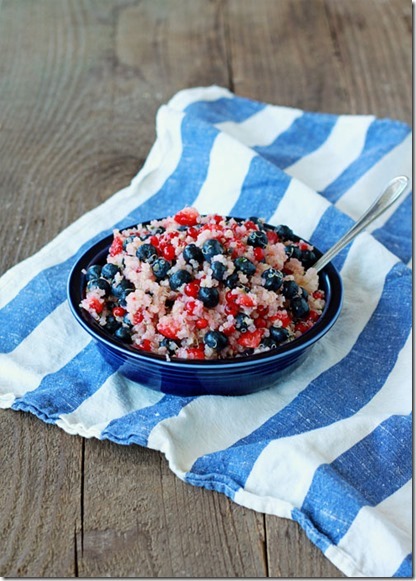 Love all the fourth of July themed recipes. These all look awesome! 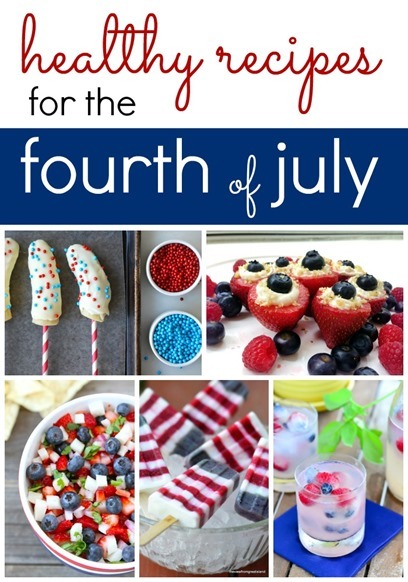 I am so excited to start making food for our 4th of July cookout. Hope you have a fun day! I am headed to the store today and had to add even more to my list after seeing this. I love that they look pretty easy too! (I have three rules in the kitchen: easy, healthy, tasty!) Thanks Julie! 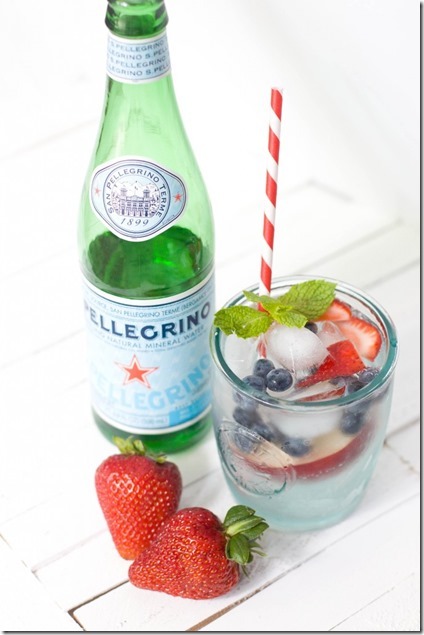 Yum and Happy 4th! I celebrated the 4th (in my time zone!) by heading to the beach. Those frozen bananas look so good! We’re traveling to see friends, so I didn’t make anything. It’s going to be a very fly-by-the-seat-of-our-pants weekend, so we’ll see what’s in store for us. Have so much fun celebrating! I love jicama. 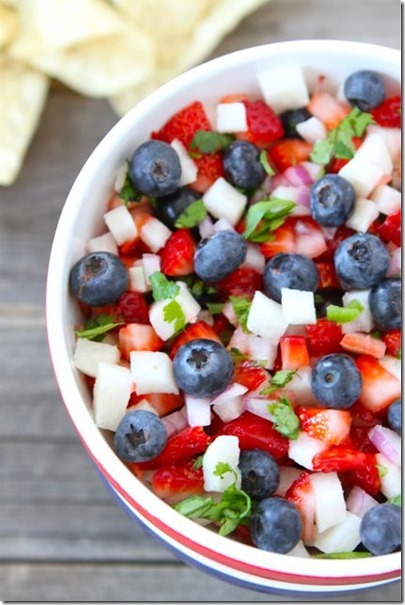 Definitely doing the blueberry strawberry and jicama salad! Those frozen bananas look amazing!! The watermelon and feta flag is awesome! !